First things first, it’s on. 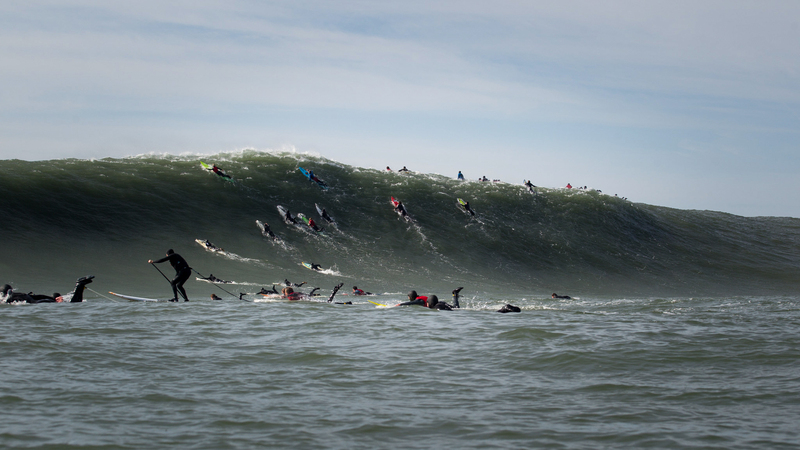 The Titans Of Mavericks is on for Friday. Two days after The Eddie, with a potentially good day at Jaws in between. It’s going to be one hell of a week for big wave surfing. Now that that’s out of the way, let’s dive into the nitty gritty. The Titans Of Mavericks is a confusing event. It has no affiliation to the WSL. Gives away $120,000. Relies on a committee called the C5. Uses the word “titan” in its title. Didn’t run last week. May or may not be missing an apostrophe. So on, so forth, et cetera and et al. We wanted to eradicate the static, so we built you a guide. Why isn’t it on the WSL’s Big Wave World Tour? The governing body of the Titans Of Mavericks (formally known as the Committee 5, colloquially referred to as the C5) wanted the event to feature as many Maverick’s surfers as possible. Like, actual Maverick’s surfers — the ones who dedicate their lives to surfing there. While the BWWT is home to most of the world’s best big wave surfers, not all of them consistently surf Mav’s. So the WSL/C5 negotiations went poorly. Well, Peter Mel (the BWWT Commissioner) and Twiggy Baker aren’t invited to the event. There are three Maverick’s wins between those two men. That poorly. Do you have to understand that participation at Maverick’s is a privilege, not a right in order to compete? Matter of fact you do. We’re not kidding. See the full criteria here, though it should be noted that that is the only requirement passive aggressively directed at Pete and Twig. What’s this about the missing apostrophe? Maverick’s was named by a guy named Alex Matienzo, one of the first people to ever surf the wave…kinda. Alex and a few friends surfed the inside of Mav’s — which is known, these days, as the annoying section near the rocks that shoves you and your 9’8″ backwards as you try and make your way out the back. Anyway, as the story goes, they named it Maverick’s after Alex’s roommate’s dog (presumably a Rottweiler). Therefore, it would be a possessive noun — a Phil’s not Phils type of thing. Is it going to be as good as the swell last week? Probably not. But it’ll still be good. Speaking of which, why didn’t it run last week? Got big-leagued by the Super Bowl. When going through the legal song and dance that is sometimes referred to as the permit process, event organizers agreed to a short blackout period during the few days surrounding the big game — which was being held just over the hill in Santa Clara. If this upsets you, be like the rest of America and yell at Cam Newton. What do I say if my boss catching me watching it on Friday? Should I expect to see a triton at any point during the live webcast? Absolutely. Maybe even make a drinking game out of it — it’s Friday after all.